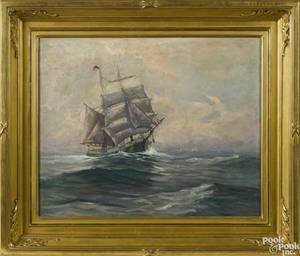 PRINCE ORIGINAL HANDWRITTEN LYRICS FOR "
Oil on canvas ship painting, 19th c.
Oil on canvas ship painting, 19th c. , depicting a man-of-war and other sailing vessels at sea, inscribed verso Man of War Signallino and A. 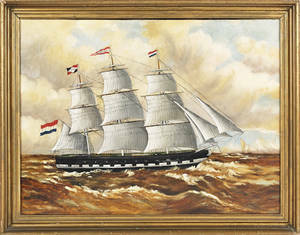 Strange , 12" x 18 1/2". 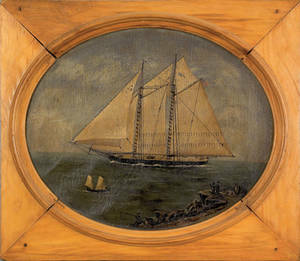 Provenance: Sheldon Silverstein. 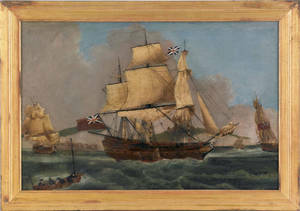 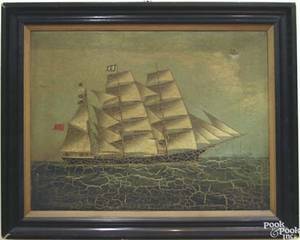 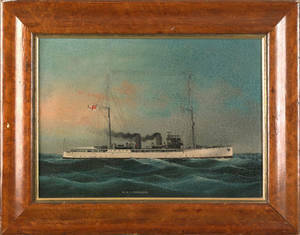 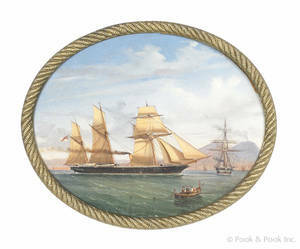 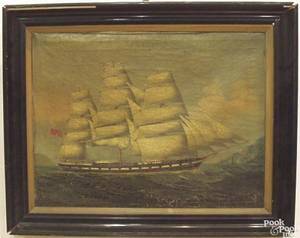 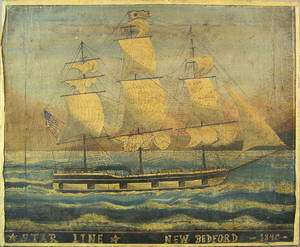 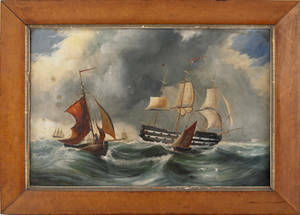 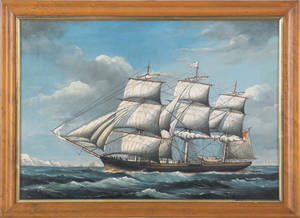 Archived auctions similar to Oil on canvas ship painting, 19th c.
Oil on canvas ship portrait, 19th c.
China Trade oil on canvas ship portrait, 19th c.
British oil on canvas ship portrait 19th c.
British oil on canvas ship portrait, 19th c.
Primitive British oil on canvas ship portrait, 19th c.
American oil on canvas ship portrait, 19th c.